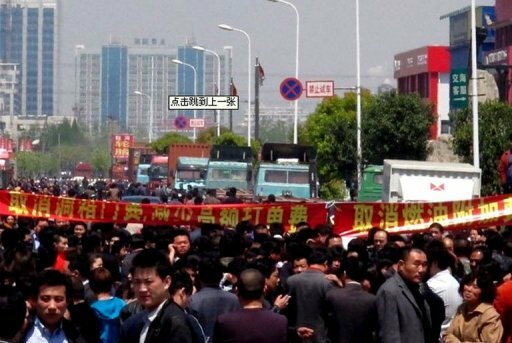 Summary and links to news stories of workers' struggles around !r during April 2011 and related resources. The most important stories appear on my Twitter feed as soon as I find them: http://twitter.com/spartacusnews. First I apologise for the lack of a summary for March - this wasn't because the class struggle went on holiday in East Asia, but because I didn't have internet for most of the month, so there was too much to catch up on. This is also why I haven't been able to find so many pictures this month - I just havem't had time. However, I have been working on a little internet tool to help me compile these summaries - though it's still in the testing stage, if anyone would like to either help out with these or start their own for other regions, send me a private message. I would also like some thoughts from those of you who read these summaries: do you think i should continue them in their present monthly form, or should I switch to as regular as possible postings to a dedicated thread in the news forum along the lines of those on events in the middle east to allow more discussion of events, or do both? 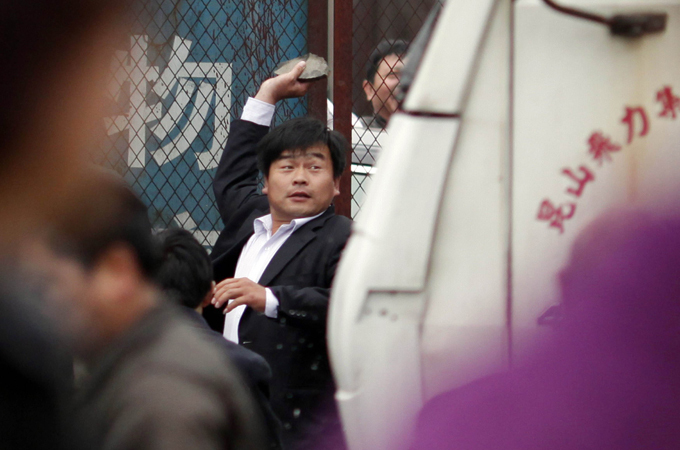 A truck driver in Shanghai tries to stop strike breakers. I've included articles added to libcom in March and April. You may also want to check the new tags for individual countries. Thanks for the report! I prefer to see it stay in the current format but possibly with a separate news forum thread for most important stories. I like this format. This is very useful. thanks for the feedback, for the moment then i will keep it in this format. perhaps in future though i will start a thread for the most important stories to go on sooner - but still have them in these summaries each month.